As many of you already know, I’m a big fan and lover of jigs! Jigs help an angler to fish even in the hardest conditions, deeper waters and target really aggressive fish. But there are times that fish are more active on lures like minnows, poppers etc. This is the magic of fishing! Every day is a new day with new rules for the underwater world! A change in currents, change of moon phase, a sudden rain, change of wind and what was working yesterday is just another story written in the pages of the past! Today everything is changed and the angler once more has to solve the new puzzle. Lazy fish tend to attack much easier minnows, plugs and silicon lures in general, while active fish prefer jigs. But we never know what situation we are going to face each day! Sometimes we go for shore jigging and fish are not active at all on jigs, while other times we go with heavy spinning and we found fish that are not interested at all in plugs and prefer jigs. Imagine now if you had a rod that could perform excellent with both types, jigs and lures. I remember that I was asking from ZENAQ quite a long time, a rod like this. Actually since there was not such one, I was using Defi Bahn Akame S98 RG that I have to confess it had a great action on lures but not on jigs. On the other hand, while shore jigging with ZENAQ MUTHOS ACCURA 100H, I could use sinking pencils of 50gr but the feeling of minnows of 30gr was very poor. And here comes ZENAQ MUTHOS SONIO 100M. Based on Accura philosophy, SONIO 100M is a rod that was made to cover most fishing situations. With a lure weight of 10-100gr it becomes a lethal weapon to the hands of the angler. I know that it might hear peculiar such a wide lure action range, but it is true! MUTHOS SONIO 100H has an amazing curving progressiveness that start in the first 1/3 of the blank very sensitive and delicate, to end up in a super powerful lower blank section. 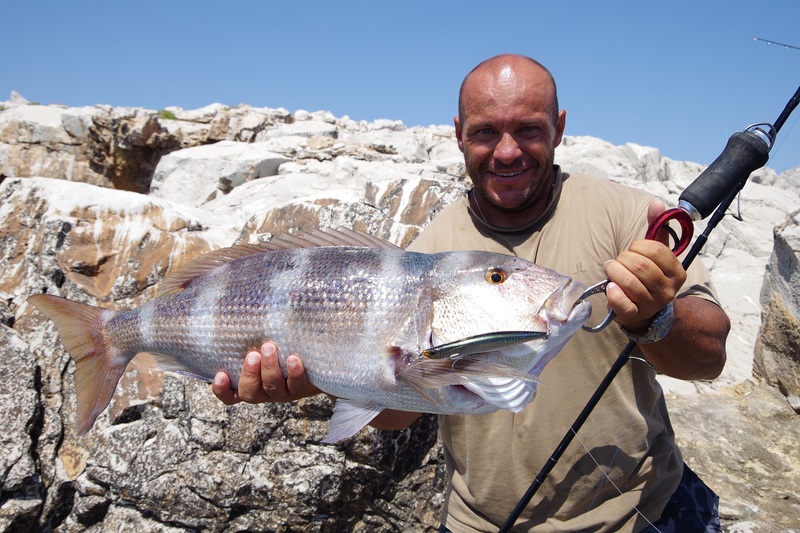 What ZENAQ managed with MUTHOS SONIO 100M, is to create a rod so technical to use even small lures and jigs, but powerful enough to even stop a beast snapper from going to the rocks. MUTHOS SONIO 100M has a fast action character to boost lure reaction, cast distance and instant hook setting. The feeling of lures like minnows is excellent, and the angler can feel even the currents while his lure “swims” through them. Never in the past, sensitivity and raw power mixed with such balance. 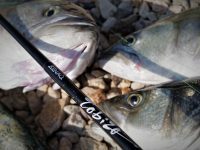 This amazing rod, due to its very versatile character, can be used in many different fishing terrains, like ports, rocks and beaches, depending the lure you intend to use. 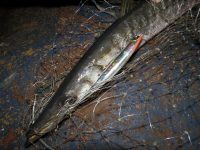 For example I noticed myself on the same day to fish in the morning on rocky shores with jigs and sinking pencils at depths of 30 meters and at the same night with the same rod, to hunt barracudas in the port with minnows! A rod for all terrains! Recently I had the chance to take SONIO 100M to a two weeks fishing trip and fish hard with it, in order to have a very detailed image about its qualities. What I find out was simply amazing! 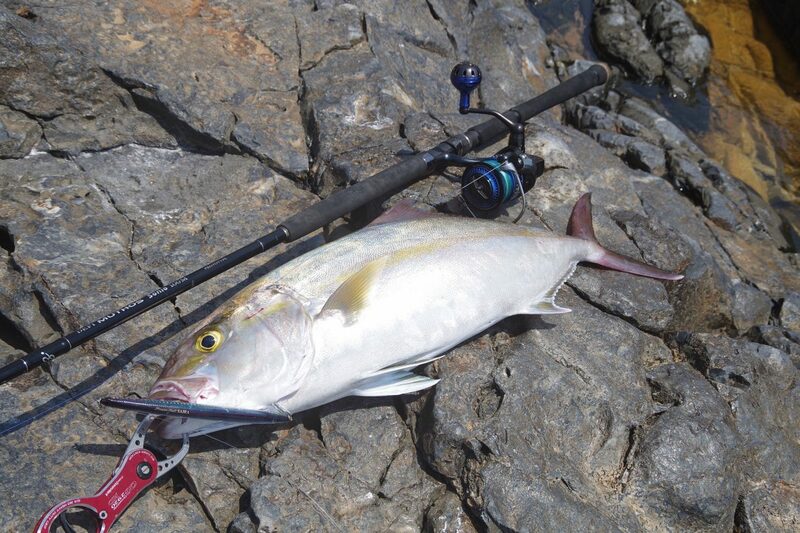 You can really do everything with this rod and try completely different types of lures at the same time! This really boosted my catches, since with a very constant change from jigs, to sinking pencils, and then to top waters, minnows or silicone lures, it was impossible not to find where fish are active at that time. 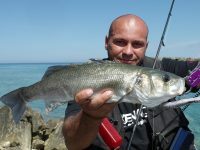 For me this rod performs perfectly (best match)with jigs from 35 to 90gr and with lures from 25 to 70gr. Of course it will cast and use perfectly even a 15gr minnow or a 100gr jig, but the best max for me is as above. 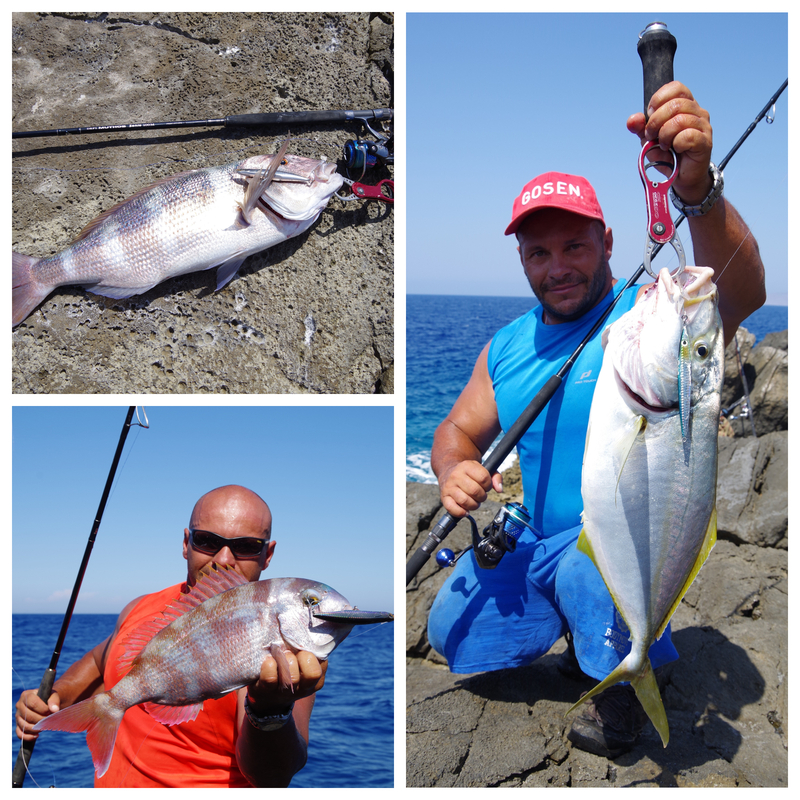 In actual fishing, I could cast a 65gr sinking pencil in the morning for snappers and reaching easily a distance of 80-100m, while at night it was pure joy casting 17.5cm-29gr minnows for more than 50 meters in the port! MUTHOS SONIO 100M with RG or K guides? This really depends on the anglers intentions. If someone is going to use mostly jigs like 70% and lures 30%, then it should choose K guides. Fewer guides mean less friction during jigging, so fishing becomes less tiring, especially in depths more than 25 meters. But if someone intends to use even 50% jigs and 50% lures, then RG guides are essential. I have explained many times, RG guide system will boost the casting distance even as high as 20% and will eliminate tangles even with strong lateral wind. MUTHOS SONIO 100M and fish fight. While other types of MUTHOS range like ACCURA’s are made for just pulling monsters out of the water, SONIO 100M is not like that! It is by far a more technical rod, that has the power to stop even a 5kg angry snapper, but at all times is based on the anglers experience. 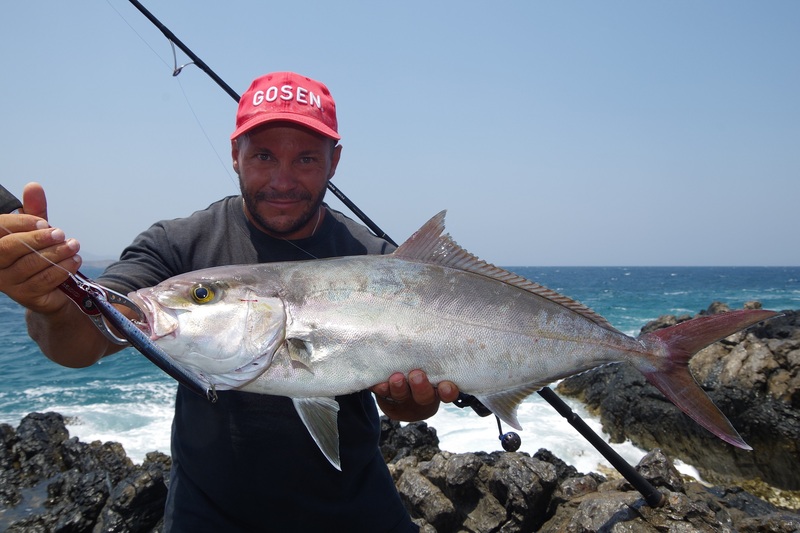 An experienced angler can manage to defeat fish far more than 15kg and the progressive curving of the tip with the amazing power of the lower section, help in two basic ways. First, they keep the hooked part protected, and the fish is very hard to tear or “spit” the assist or treble hook. Second, this progressiveness really exhausts the fish and brings it almost dead under the feet of the angler! As said before, power and sensitivity never mixed so perfectly! 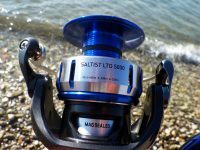 I tried it out both with DAIWA saltiga 4000 and saltiga 4500. Thought it can balance with both, it becomes by far best balanced and technical with 4000 size. The feeling of a 30gr minnow with 4500 size was very poor, while with 4000 it was more than excellent. So if you want to pair it with a reel then choose 3500-4000 DAIWA reels and 5000-6000 SHIMANO reels. For me the best match of PE braid is # 2.0- # 2.5 paired with FC Leaders of 0.47mm to 0.52mm. MUTHOS SONIO 100H is a rod for your fishing expeditions. 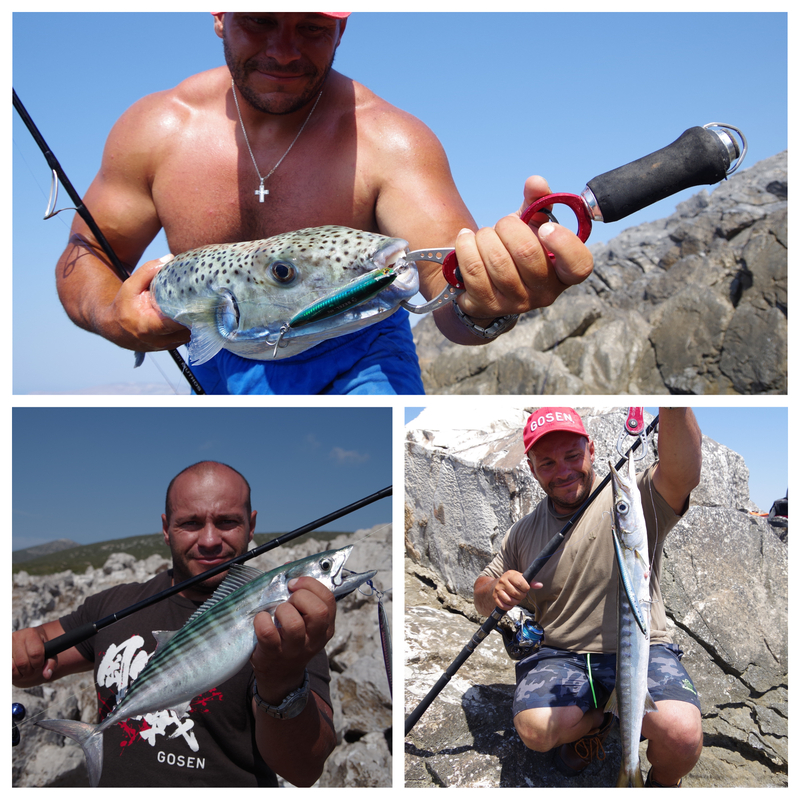 With one rd, you can try different fishing styles, based on completely different lures. This way you can focus 100% on each level of the sea and put your best shot there. Sonio 100M is the “key” to unlock the borders that lie in front of you! Be versatile, be technical, be Sonio!